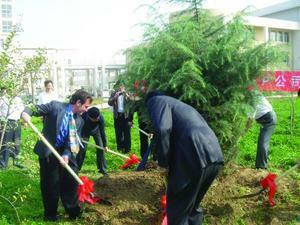 DEZHOU, CHINA -- (MARKET WIRE) -- October 12, 2006 -- Officials from China auto manufacturer Shandong Jindalu Vehicle Company Ltd. and ZAP (Zero Air Pollution) (NYSE Arca: ZP) of the United States planted a tree yesterday to dedicate their new venture and auto manufacturing facility in China. The "America China Friendship Tree" was selected to symbolize the new U.S.-China joint venture to develop forms of transportation that reduce greenhouse gas emissions. ZAP Chairman Gary Starr says the collaboration can go a long way towards restoring a balance with nature. "A typical gas car can produce as much as 6 tons of carbon dioxide a year," says Starr. "So the best thing you can do to offset your personal carbon footprint is replace that gas car with an electric car. Another way is to plant and raise trees." The joint venture agreement signed by ZAP and Shandong Jindalu pledges that for every vehicle sold a tree would be planted in the United States and China. Starr attended the ceremony in Lingxian with Shandong Jindalu President Mr. Lu, government officials and auto industry leaders. The tree was planted in front of Lingxian Middle School, the city's largest, and government officials have agreed to plant additional trees along a nearby river. 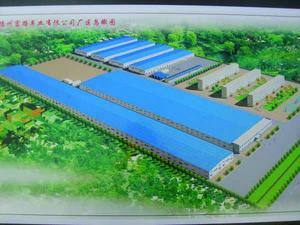 The event also dedicated the new construction of a manufacturing facility to accommodate the joint venture. Projected for completion by summer of 2007, the factory would have the capacity to produce 50,000 vehicles a year employing a workforce of 1,200. ZAP has established an office in Dezhou to facilitate the joint venture. The factory would design and manufacture a variety of new vehicles, including an electric car and other forms of transportation powered by alternative energy. The joint venture agreement includes a declaration: "Recognizing that petroleum is a finite source of energy and that 54 percent of all petroleum is used to fuel our vehicles, and that one of the major causes of global pollution and global warming is the burning of petroleum in conventional vehicles and that one of the fastest growing segments of CO2 production is the replacement of bicycles around the world with conventional, non-efficient petrol burning vehicles." The joint venture also invites "entrepreneurs, capitalists, governmental and educational institutions throughout China and the world to join in the tree planting effort. The joint venture also seeks energy storage and battery companies, battery manufacturing, solar energy, engine development, new material design, automobile manufacturing, parts and supplies distribution, as well as engineering and design services from throughout the world to join in the venture."